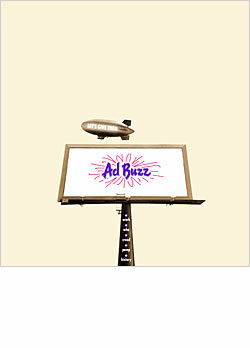 AdBuzz is a “Virtual” advertising agency. A fast loading interactive Flash animation introduces and sets the tone of the site, which expresses the partners’ philosophy that selling can be fun and playful yet hold to a tight strategy. The Web site was the winner of a Summit 2003 Award. As you’ll see from their portfolio, the partners are pretty off-the-wall and very creative. They wanted the Web site to reflect their creative direction and present a sampling of their work. The art director, Steve, designed the site. Martin, the copywriter, fine-tuned his copy brilliantly to the last word. Building the site was way too much fun!